Many of the built-in apps have gotten some subtle updates, but unlike Edge, most of the apps are less tied to Windows feature updates itself, so frequent updates are more the norm here. But with the Fall Creators Update, many of the built-in apps have started to support features like Fluent Design to give a nice refresh of the look and feel. A couple of apps have had more significant things done though. The biggest news for Groove Music is that Microsoft is officially killing its streaming music service, Groove Music Pass. People who subscribe are being prompted to switch to Spotify, which Microsoft has partnered with. The two companies have worked together to allow Groove users to migrate all of their playlists over to Spotify until January. For Groove Music Pass subscribers, this isn’t great news, since Groove did offer features not found in Spotify, such as the ability to watch music videos, the ability to mix your own music into playlists, and the ability to stream music uploaded to OneDrive even if it didn’t exist in the Groove subscription catalog. 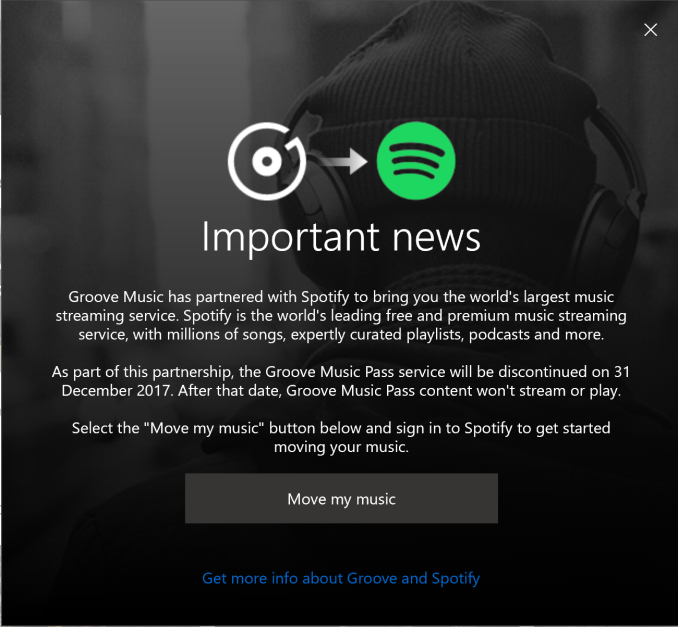 Groove will continue to function as the built-in media player, and you’ll still be able to stream music uploaded to OneDrive, but the subscription music will be gone by the end of 2017, as will the ability to download mp3 files of purchased music, so if you’ve bought music off this service, go get it now. The Photos App gets a lot of new functionality, and is one of the biggest updates of the entire Fall Creators Update. You can now use the Photos app to create movies from your photos, or edit videos. You can add filters, text, and 3D effects to the videos as well. Photos will be adding the support for full 3D Objects soon too, allowing you to make stories from your photos. The process is very simple, and it can automatically add music to the videos as well. This really is a nice update. Bearing a new name, and a new icon, the Windows Store is now the Microsoft Store. There’s small tweaks to the layout, but overall the use of the app is pretty much the same as before. This is also losing the ability to buy music though, as part of the Groove changes, so be sure to backup any music you’ve purchased from this service. The app situation in the store is improving, although slowly. One of the biggest improvements to the store is the Desktop App Converter, which lets developers package existing Win32 apps into the store, and this has helped with several apps. Earlier this year, Microsoft announced Apple would be brining iTunes to the Windows Store, through the Desktop Converter, which should be welcome news to many. The nice part of iTunes through the Store is that it will be isolated from the rest of the system. They still have an uphill battle here, but any time they make it easier, it does help with adoption. Originally announced for the last update, but cut before release, is the My People functionality. This lets you pin your most used contacts to the task bar, over by the system tray. The goal is to make it easier to interact and share with them. You can drag and drop files onto their icon to share them, and launch their profile to view all interactions. 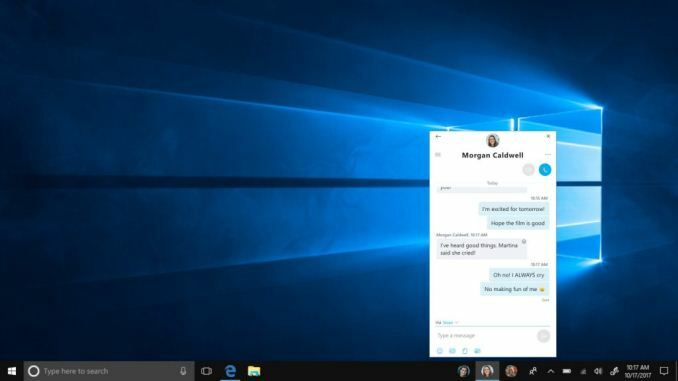 Bringing back the days of MSN messenger, emoji from pinned contacts will appear above their icon, giving a more intimate connection, or a more annoying connection, depending on the person you’ve pinned to the taskbar. The idea behind My People is pretty solid, with an emphasis on people-first. Since the update came out a few weeks ago, I’ve not used it as much as I expected, but that may change as more apps integrate with the functionality. 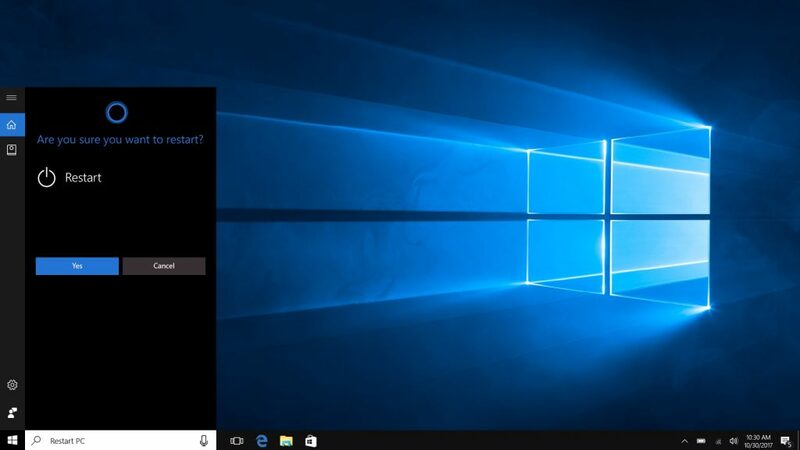 Cortana has gotten quite a bit of attention with this update, but not in Windows itself. Cortana has become the link between your Windows PC and your non-Windows based smartphone. This lets you work across devices, with the ability to continue emails on your PC that you started on your phone, and get and send SMS messages from your PC. It works fairly well, although it’s going to take some shifts in workflow to really start to take advantage of it, at least in my experience. Cortana on the PC hasn’t been completely forgotten though. You can now issue voice commands to shut down, restart, or put your computer to sleep. First introduced on the new Surface Pro, Windows 10 now includes the ability to choose a power mode right on the task bar, to allow for better performance, or battery life.